The Suburban Style Life: Trista and Ryan Sutter are Expecting! Trista and Ryan Sutter are Expecting! 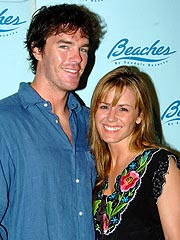 and Ryan Sutter are expecting their first child! They seem like the real deal and I loved watching their love story unfold on TV. I hope they will keep us posted on how things go for them, I couldn't be happier for them !